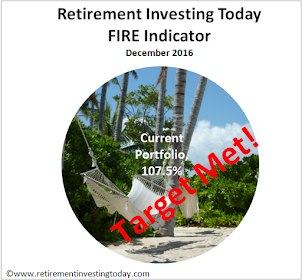 Here on Retirement Investing Today I talk about a lot of different themes and learnings. As I learn I also then update some of those themes from time to time. This might make it sound like my financial life is complicated and full of tinkering. It’s actually the opposite of that and actually requires very few decisions on a monthly basis. This is partly because the themes I write about cover the complete spectrum of my past, present and future investing life and partly because 8 years into this FIRE journey I now know (I hope) what I'm doing. Let me demonstrate using November 2015 as an example. On the Spending front history tells me that because I'm a lightweight consumer I don’t need to budget. So I don’t. For any purchase I do however still mentally ask myself do I really need this, can I buy less of it and is this giving me the best value for money. Roll that into November and it resulted in 36 purchases with the lowest purchase being £1.70 for a work lunch and the highest being £1,148 for rent. After rent and work costs (my tracked metric as this is what will be relevant in FIRE) my spending was well in control at £430 for the month. This reinforces yet again that I don’t need to start budgeting. Australian Equities are well overweight as in hindsight this was a mistake that I now can’t correct so will just let sit and spin off dividends ‘forever’. With none of the positions being out of whack by 25% or more I can just continue to passively rebalance with new Savings. With the above in mind Investing in November played out as follows. The largest portion was allocated to my most underweight Equities, International Equities, with £1,317 to European Equities and £329 to Japanese Equities. 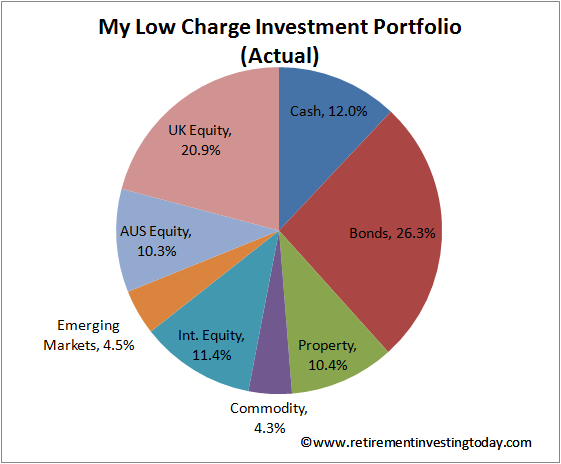 £823 was then allocated to my third most underweight Equities, Emerging Market Equities. £494 was allocated to UK Index Linked Gilts where I'm currently 1.9% underweight. I don’t buy these anywhere else so make a small contribution each month as my large savings ratio would mean these would fall behind very quickly if I didn't. 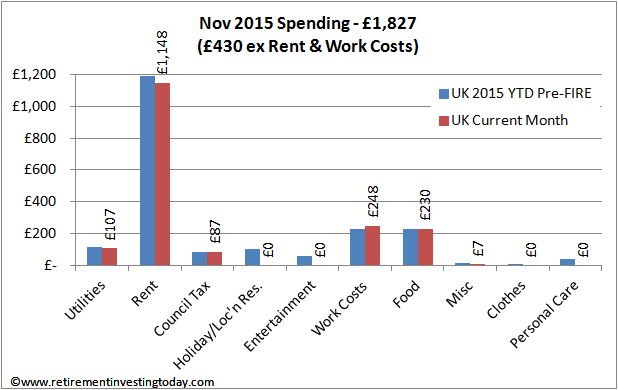 £329 was allocated to UK Property for the same reason as the Gilts. You’ll note that I don’t buy UK Equities or US Equities within my Company Pension. I don’t buy US as my allocation is currently ok and because these can be bought elsewhere at much lower expense ratios. I don’t buy UK as these can also be bought at much lower expense ratios (more in second) elsewhere. Outside of the Pension I was also able to Save a further £3,800. £1,500 went straight into my Stocks & Shares ISA with the ready to invest cash further topped up by a HSBC Dividend to the tune of £49. This brought current S&S ISA cash holdings to £3,307 meaning a didn’t make a S&S ISA purchase this month. One of my mantras is minimise expenses and so I will only make a purchase when cash builds to £4,000 which will occur in December. At this point that looks like a VMID purchase which will add to my 2nd most underweight UK Equities. The remainder of my cash, £2,300, was popped into my Savings Account. As I’m now on the FIRE home straight I’ve written before that I need to focus on building the cash (plus existing NS&I Index Linked Savings Certificates) necessary to secure a home purchase for my family. This contribution brings cash and cash-like holdings to £199,190 so still some way to go but doable in the time I likely still have available. That’s then it from a Spending, Saving and Investing perspective. On top of that I simply update my Spending spreadsheet every few days and my Wealth spreadsheet every week. I don’t think that is overly time consuming nor complicated but I’ve now been at this a while so might have a tainted viewpoint. What do you think? I also prefer to update my numbers weekly, rather than monthly or quarterly. I find it quicker and far more engaging. A quick win rather than some laborious admin task that becomes a mission. I've not been great at tracking my spending, I figured that if I was keeping my savings rate up, then the spending would fall out the other side. Now, I'd like to track a little bit of data to see where it does go and if I could trim back anywhere. Yes I update both my spending and wealth spreadsheets manually. I agree with you re the engagement with the numbers and that's also exactly why I haven't automated anything. It takes me about 15 minutes per week. I record spend for a few reasons but one of the critical ones is so that I know how much it costs to live the life I want to live. It then makes it very easy to calculate that FIRE number. For what its worth I have my spreadsheet for costs on my laptop and I try and update it each time I spend some money (realistically daily, or every other day) - it then calculates approximately how much money I have to last to the month end, and updates my forecast savings rate - it really helps focus the mind! 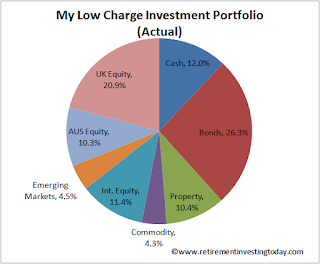 My monthly pension investments go into a single fund. I only invest in other things to rebalance in lumps of 30-40k upwards, no so much for dealing costs as for the worry of calculating capital gains. I'll finally be shot of a equity monthly savings plan next tax year, after no end of fiddly calculations as to how much capital gain I made with all those contributions and reinvested dividends made my head spin. Its taken 4 years to close it and be confident I had CG under the limit each year. I have a rebalancing plan which requires action 3-4 times a year for the next few years. I update my spreadsheets every quarter, or when a bad day at work tempts me to pull the trigger ... so every fortnight! My endowment mortage paid out today, worst investment I ever made. It was for 3/7 of a 2 bed London flat, and I'll get £21k, which won't buy a garden shed now. Thanks for sharing John. Waiting to accrue £30-40k of cash before rebalancing would mean I'd end up way out of balance and for me at least I'd also be concerned about the opportunity cost. 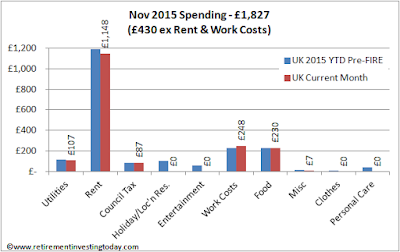 Within my S&S ISA Trading Costs are £12.50 so £4,000 equates to expenses of 0.3%. I'm ok with that. 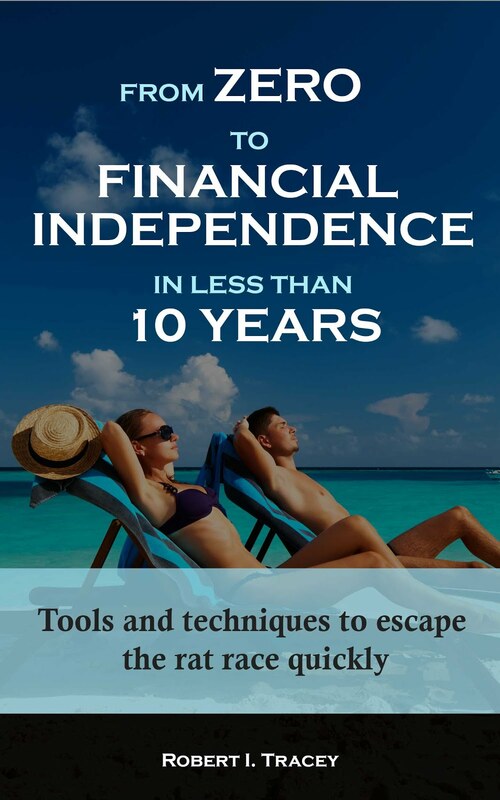 I do the books twice a year: our financial affairs are very straightforward. So for fun I now dish out suggestions to my daughter about hers. In the last month I have made a powerful case for her making a pension contribution, and a powerful case for delay. Ain't I helpful? You shouldn't be partaking in sport with loved ones :-) So what should she really do? Dunno. 40% tax relief while it still exists vs husbanding capital for her new business. I'm currently using YouInvest, Hargreaves Lansdown and TD Direct. I'm happy with all of them. My only comment would be to watch the charges from each for the investment products held within them by wrapper type (ISA, Trading and SIPP). Monevator has an excellent comparator that will get you a long way in a short amount of time. Wow... Impressive month :) I'm trying to do the same as you and I use an app on my mobile. I know in every moment how much I own to the last penny. I came in UK three months ago and I still don't have enough to build a portfolio as the cost of investing will be notable proportion of my "wealth". How long do you foresee you can live in a such regime? I mean theoretically you could keep entertainment costs at the point of freezing, but you could wear the same clothes more than 2-3 or max 5 years. I live as extreme as you, maybe even more (with only a room rented and lower work costs) but I already feel a "tension" and decided to raise a little my living standard on April. RIT, are you paying extra into your pension, and do you have an eye on the lifetime limit for pensions. Based on recent posts, I believe you have about £400K in your pension, and are funding £3.3K a month. With your age, the lifetime limit could easily become an issue. I have a similar pot, am a year or two older, but am reluctant to invest more than the minimum percentage to secure my employer's 15% contribution. I prefer to invest any extra outside of a pensions wrapper due concern over 55% tax charge and government changing the goalposts.I would be really interested in your thinking on this. - an assumption that Pensions Tax Relief will be altered (unfavourably) for Higher Rate Tax Payers from tax year 16/17. I'm therefore making hay while the sun shines but plan to greatly reduce contributions to employee match limits in 16/17 (which unfortunately are a lot less than 15%). - an assumption that I'll FIRE in a little over a year and so will not be making contributions from that point on. - Between now and April 2018 (Lifetime Allowance linked to Inflation) my pension portfolio will grow at 7% and from April 2018 it will grow at 4%. Are you on a FIRE journey? Thanks RIT, It will be interesting to see what happens with PRT come April, and your strategy makes sense if you plan to stop contributions. I need to keep going so hope to be making additional contributions for a good few years yet. I read your blog with interest. We are roughly the same age, but we are going about it differently. You are closing in on your target, and are turning towards a house. I have been paying off a mortgage and have much further to go on the target. We both like Hale, although our asset mix is very different (currently 13% cash and low duration bonds, 8% property, 38% UK equities, 34% International equities, 7% emerging markets). I will move towards 30% non equity rather than 21% in next few years. If you strip out your £200K cash and cash like for your house purchase, then your non equity exposure goes down to less than 40% if I have calculated correctly. So perhaps we will be more aligned in a few years time. - 18% Bonds (mostly Index Linked Gilts with a duration of circa 20 years), so quite different to yourself here with predominantly low duration. - 6% Gold. I see you have no exposure. Any reason for that given Hale does mention it? I'm still working towards what I'm targeting as a post FIRE post home purchase allocation. At this point I don't think I'm going to do much better than a "60% Equity : 40% Bond portfolio". As RIT mentions, the lifetime allowance will increase with CPI from 2018; another guess to factor in. What are you assuming for CPI, RIT? Happy Christmas ! I always find time to watch at least one version of " A Christmas Carol " coming up to Christmas - preferably two. RIT - how much do you budget for Christmas cards and stamps ,Christmas presents for you immediate and less immediate family, Christmas parties , shows for the children ? Oh- and Christmas boxes for the postman,binmen,window cleaners, work colleagues, Secret Santa ? Sorry - these are very personal questions and you may not feel it appropriate to reply ( publicly ) - and I do believe it is OK for people to live their lives the ways they choose. However- by you making yourself so accessible to the public - this sort of post must be something you expect. However - sometimes I feel we live on different planets. And he bought a load of 45p second class stamps before the last price hike. Yes - I guess you are right. You can also buy stamps at a discount at Costco . I am still shocked by RIT's post last week when he tried to suggest that he would rather have had retained the income from his capital - than spend it on paying for a friend's lunch . I hope that RIT's friend was not aware that this is how he was thinking about it - as it would be hard to think of a more demeaning comment. Hence my reference to A Christmas Carol - I really do need to see this at least once a year - preferably twice - and I appeal to RIT to promise to see as many different versions as are available on TV over Christmas this year. But - maybe RIT doen not even have a TV - or pay an annually recurring licence fee ? I think you might be a little unfair there stringvest. Just to clarify my comment last week was not about buying lunch for a friend at all. I value the friendships I have a lot and believe I act selflessly - whether that's paying for the first round, simply lending a hand when someone is in need, cooking a fantastic meal for friends or in this case paying for lunch. Instead my comment was around the fact that I could not see value in the mass produced food that was placed in front of us. I simply could have cooked far far better for far far less and that's what I was on about. I struggle to see that thought process as demeaning. Oh and I almost forgot Anonymous was right. I do indeed have some fantastic Christmas cards in reserve that I'll spend plenty of time putting thoughtful messages into for those close to me. I also have a TV licence although given the dross that now seems to be on it I am wondering if that is now giving me value. TV license was the first thing to go. Just think of the number of tins of beans you could get for that. :) Turn the sound off during adverts on watch again ITV and Channel 4 etc (now that adblocker can no longer be used - boooo!). Use iplayer for BBC until they start charging. Alastair Sim's version of Christmas Carol is still my favourite. Happy Chrimbo everyone.